for $549,900 with 3 bedrooms and 1 full bath, 1 three quarter bath. This 1,802 square foot home was built in 1946 on a lot size of 0.10 Acre(s). Quintessential CONGRESS PARK Bungalow exuding architectural CHARM w/ hardwood floors, coved ceilings, archways & wood-burning fire place. Modern touches include STAINLESS STEEL appliances, updated bathrooms, PEX plumbing, newer windows throughout & fresh modern color palate. 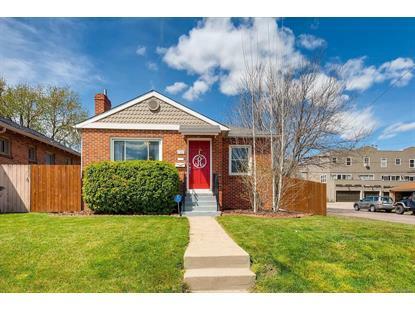 This home lives LARGE with a full-house footprint in the basement level, uncommon for classic bungalows of this era and exceptional for the Congress Park. THREE BED w/ TWO BATHS provide plenty of room for you and your guests. Updated kitchen with modern appliances (including GAS range) and sleek backsplash. Landscaped backyard with patio for soaking up the sun before heading out to enjoy the incredible local area amenities. 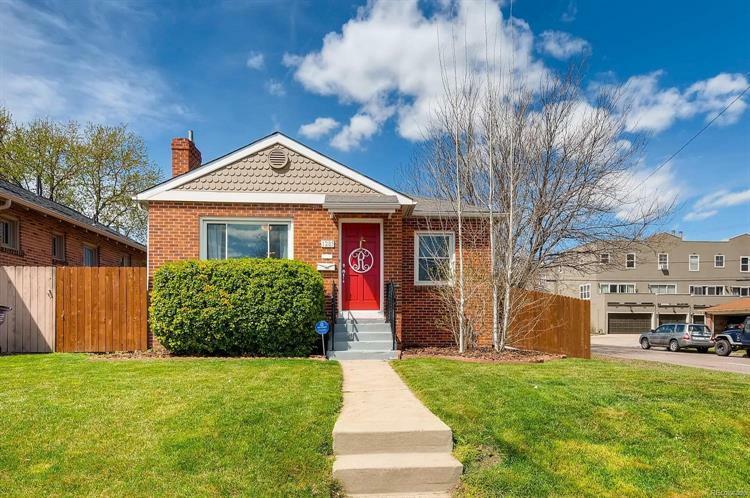 This house is steps away from Denver's hottest restaurants and breweries (TAG Burger Bar/Blue Pan Pizza/Sweet Cooie's Ice Cream/Cerebral Brewery) and just blocks from vibrant Colfax Ave near the iconic Blue Bird Theater. DO NOT miss out on the INCREDIBLE VALUE of this HOUSE in this NEIGHBORHOOD!